"I'm not a one-issue person," says Samantha Chirillo, co-director of Cascadia's Ecosystem Advocates (CEA). "We need a holistic approach to find solutions for climate change, peak oil, and forest depletion." With a degree in microbiology from Penn State, Chirillo worked in bio-med research at the school for eight years. "My real interest was activism," she says. "I joined an anti-sweat-shop coalition. We camped on the administration lawn for a month." 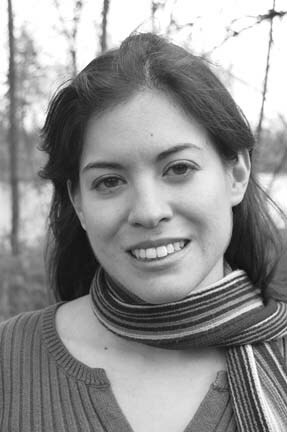 After moving to the UO in 2002, Chirillo represented GTFs in sustainability and pesticide reform coalitions. She earned a master's in biology in '05, then entered a public administration program in '06 to focus on environmental activism. She also joined CEA, an all-volunteer group dedicated to education and coalition building. She helped organize the Climate Change and Peak Oil Coalition and the WOPR and Beyond Coalition. "These are grassroots coalitions, not appointed by government," she stresses. "We're trying to empower groups that don't have money behind them." Learn more at cascadiaecoadvocates.org.